To celebrate the release, the band have revealed a short film encapsulating the essence of the album in its entirety. The film, set to the band's single Nothing But A Heartbeat, was devised by the band and directed by Joanna Nordahl. Alongside the album body of work, inspiration has been sought from Lars Von Trier's 'Melancholia', Hans Zimmer and 'On Being Ill' by Virginia Woolf while drawing parallels to religious ideology and exploration of mental sanity. The band appear in a dream-like state, surrealistic and boundless with abstract thoughts running free – bringing the album's title Lucid Dreaming truly to life. 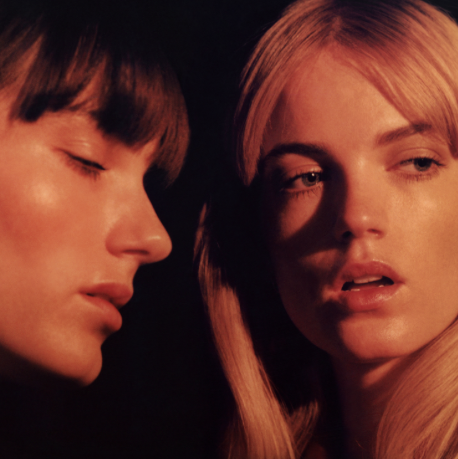 The band explain the idea; ''Dreams are a way for human minds to digest their memories, and this film is sort of a digestion of our experiences of these past years as Say Lou Lou." The Swedish/Australian self-made duo have already built a massive following in their home of Scandinavia and today release their long-awaited debut album Lucid Dreaming. A true labour of love, the album recording was split between L.A., London and their native Sweden, the influential sounds from each location meshing and permeating through every note. Working with the likes of Liam Howe (Foxes), Hannah Robinson (Icona Pop, Lana Del Rey) and Jim Eliot (Ellie Goulding), the finished record is a massive statement of intent in a stunning debut. Grab a listen of the new video below and get your copy of the new album on iTunes now..!